As the cold weather rages on, we look forward to the holiday that warms our hearts. The day of love is just around the corner, and we couldn’t be more excited to share these brand new Valentines designs. 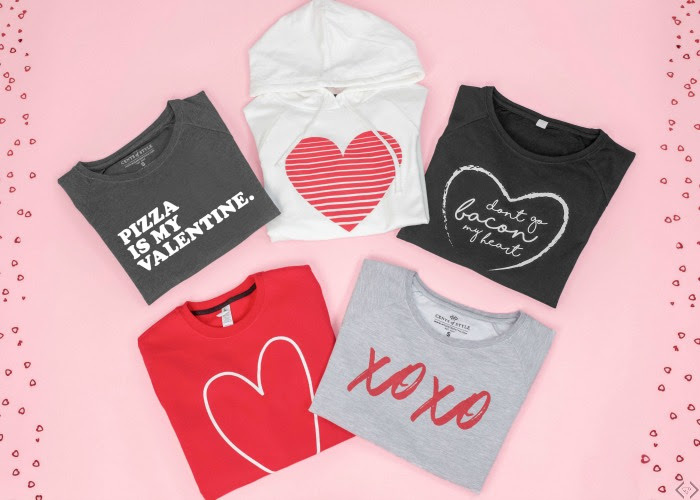 The new tees and sweatshirts are in styles you already know and love with cute and simple Valentine’s graphics. So whether you’re celebrating Valentine’s Day with your significant other or you’re living it up with your girls on Single Awareness Day, these styles will help you celebrate just right! The code is HEARTSTYLE and it will make the tees $16.95 and the sweatshirts $21.95 with FREE SHIPPING! The code is valid 1/8 only!